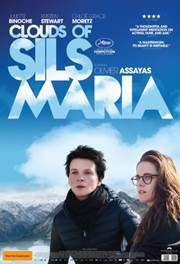 Pinnacle Films are releasing the stunning film Clouds of Sils Maria, in cinemas on 7 May, starring Juliette Binoche, Kristen Stewart and Chloe Gracemoretz. The film is a passion project for director Olivier Assayas, being shot on 35MM film rather than the modern digital format. Clouds of Sils Maria is also The House of Chanel’s first foray into film as co-producers. RSVP required including names of all attendees to arts@adelaide.edu.au by 5.00pm, Friday 24 April.